Haigh, A. (2009). Neotropical Potamogetonaceae. 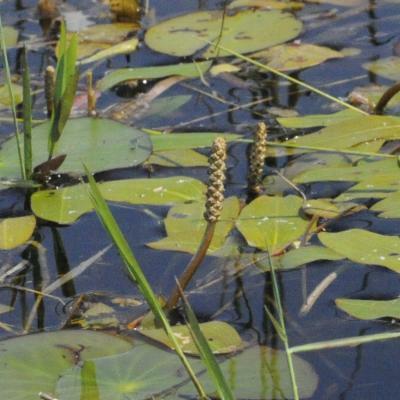 Aquatic freshwater or brackish herbs, typically perennial or annual (Zannichellia L.), rooted in the substrate with rhizomes or stolons sometimes; upper stems erect , ± reaching water surface. Leaves alternate , opposite or in pseudo-whorls, simple ; submersed leaves present in all species (although sometimes decayed), these petiolate or sessile , floating leaves present in some species, these nearly always petiolate ; "stipular" sheath always present, distinct from petioles or blades (floating leaves) or occasionally adnate (submersed leaves); distinct ligule usually present when stipular sheath distinct; blade shape similar or dissimilar in floating and submersed leaves of same plant, expanded (in floating leaves and in most petiolate and occasionally sessile submersed leaves) or linear (many submersed sessile leaves), sometimes filiform (Zannichellia), flattened without groove along one side (Potamogeton L.) or semiterete with channel or groove along one side (Stuckenia Börner); cuticle evident on adaxial surface of floating leaves, absent in submersed leaves. Inflorescences terminal or axillary , spikes or of 1 staminate and 1 pistillate flower per axil (Zannichellia, both flowers with short pedicels), the terminal spikes usually emersed or floating on the surface, the axillary spikes usually submersed, rarely with both emersed and submersed spikes on same plant; peduncles sometimes present, then rigid (Potamogeton having considerable supporting tissue) allowing for emersion or non-rigid and never emersed (Stuckenia, this sometimes resulting in spikes lying at water surface); spikes consisting of 1-20+ flower whorls, the flowers mostly 3 per whorl. Flowers actinomorphic , bisexual or unisexual (Zannichellia). 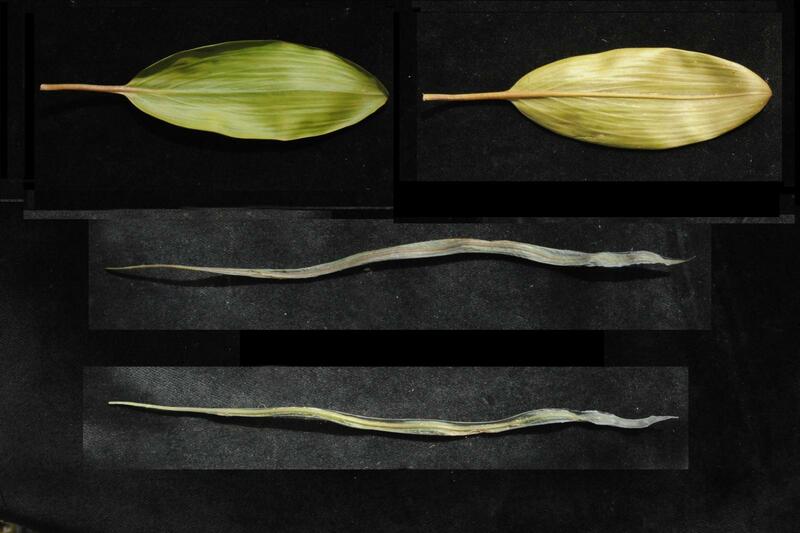 Bisexual flowers (Potamogeton, Stuckenia) with 4 clawed tepals; androecium of 4 stamens, the filaments each adnate to tepal claw , the anthers extrorse; gynoecium apocarpous, the ovaries superior , the carpels 4, styles short, stigmas capitate ; placentation marginal , 1 ovule per carpel . 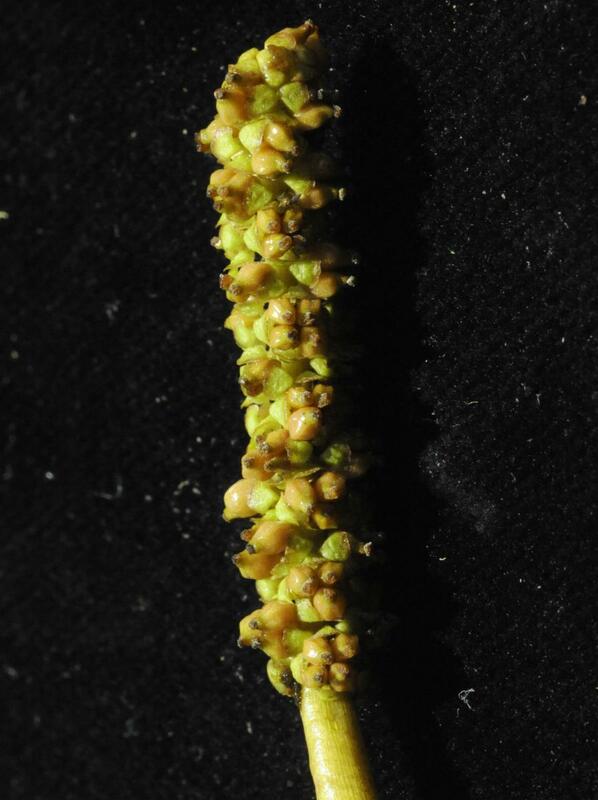 Staminate flowers (Zannichellia) located in same leaf axil and directly behind pistillate flowers; androecium of 1 stamen , filament to 3 cm long, anther directly above stigmas. Pistillate flowers (Zannichellia) with perianth fused into a tube; gynoecium apocarpous, ovaries superior , carpels 1-8, surrounded basally by perianth , stigmas funnel-shaped, exserted from perianth tube; placentation apical, 1 pendulous ovule per carpel . Fruits drupelets; seeds 1 per fruit ; embryo coiled or curved. 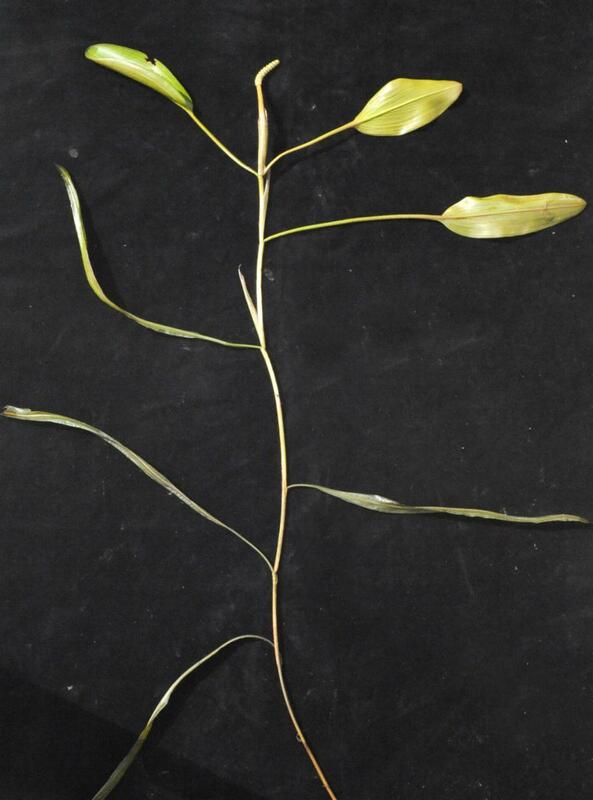 A family of 4-7 genera depending on generic and familiar circumscriptions adopted, and c. 90-95 species (an additional 40-50 putative hybrids of many Potamogeton have been described), occurring in fresh and brackish waters worldwide. Three genera comprising c. 22 species occur in the Neotropics. 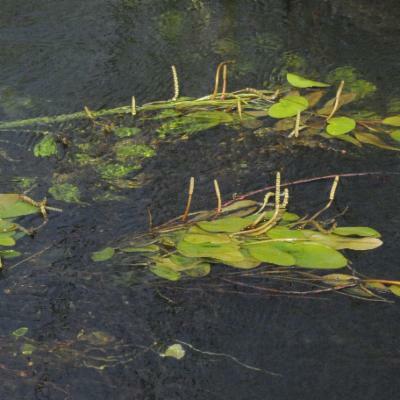 Potamogeton: about 80 species worldwide, with ca. 17 species of these occurring in the Neotropics. Stuckenia: about four species subcosmopolitan, three species occur in the Neotropics. Zannichellia: about five species near cosmopolitan, with two species in the Neotropics. 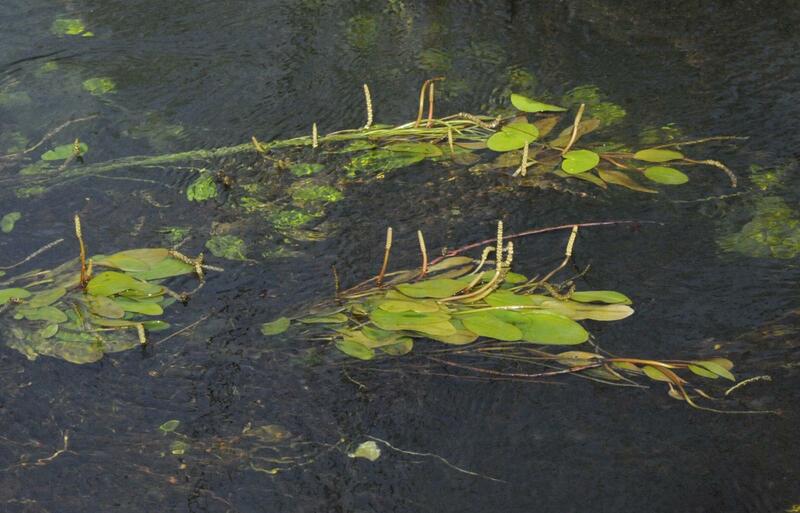 Leaves simple (submersed or floating). 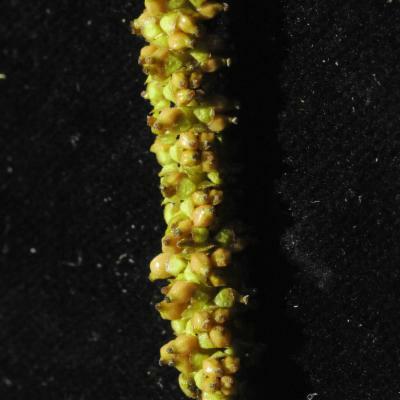 Inflorescences usually spikes, terminal or axillary. Native: some species are endemic. Potamogetonaceae is placed in the Alismatales, most closely related to Zosteraceae. 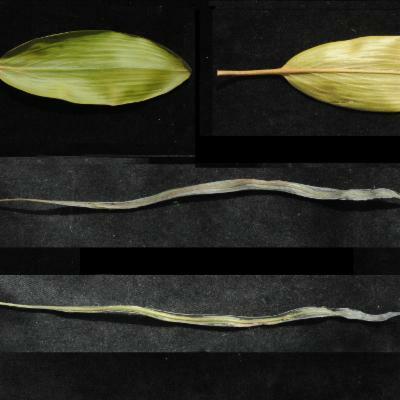 Zannichellia is rather weakly embedded in the Potamogetonaceae but placed here in APG II. Fruits provide the most important features in separating species of this family; consequently one should always collect fruiting specimens. 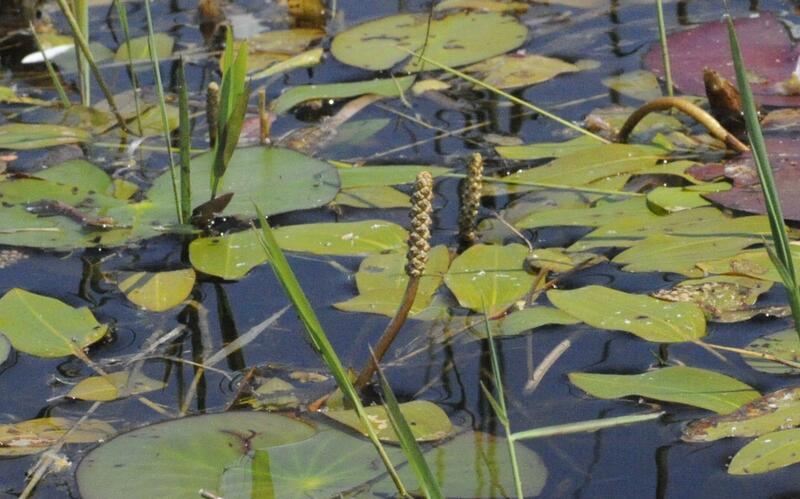 Some species are important foods for waterfowl and are also grown in aquaria. Environmentally some species are very important in substrate stabilization and in removing particles from the water column. Haynes, R.R., 2004. Potamogetonaceae. Pp. 476-477. In: Smith, N., Mori, S.A., Henderson, A., Stevenson, D.W. & Heald, S.V. (eds.). Flowering Plants of the Neotropics. New York Botanical Garden, Princeton University Press, Princeton. Haynes, R.R., 2004. 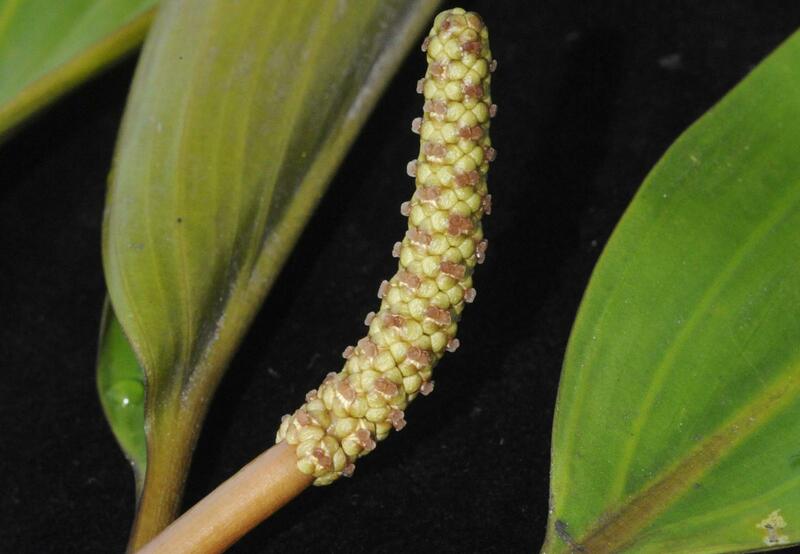 Zannichelliaceae. Pp. 493-494. In: Smith, N., Mori, S.A., Henderson, A., Stevenson, D.W. & Heald, S.V. (eds.). Flowering Plants of the Neotropics. New York Botanical Garden, Princeton University Press, Princeton. Haynes, R.R., Les, D.H. & Holm-Nielsen L.B., 1998. Potamogetonaceae. In: K. Kubitzki (ed. 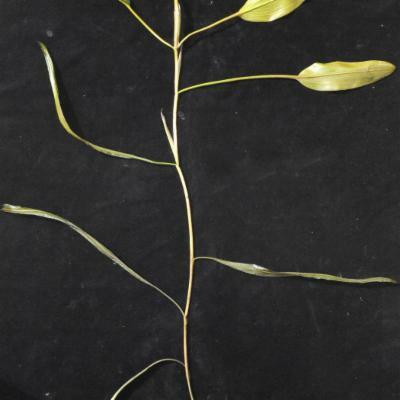 ), The families and genera of vascular plants 4: 408-415. Springer Verlag, Berlin, Heidelberg, New York. Haynes, R.R., Les, D.H. & Holm-Nielsen L.B., 1998. 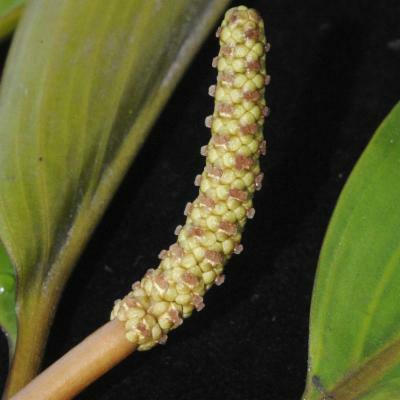 Zannichelliaceae. In: K. Kubitzki (ed. ), The families and genera of vascular plants 4: 470-474. Springer Verlag, Berlin.Stevens, P. F. (2008). Angiosperm Phylogeny Website. Version 9 onwards. http://www.mobot.org/MOBOT/research/APweb/.